Just a little disclaimer: first, I am not a car person. I have to mention that whenever I post a car review. I’m just an ordinary person who has to drive a car daily. 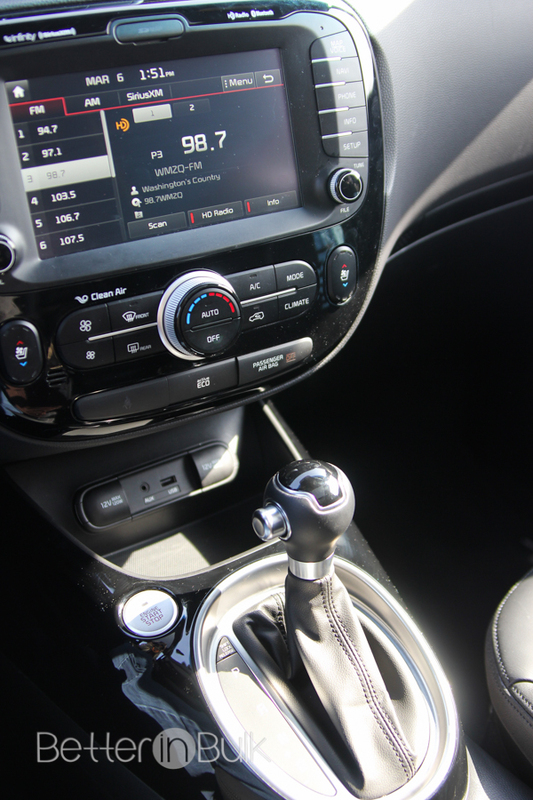 I look at car features with the eyes of a mom. How will my family “fit” with this car? How easy is it to learn and how comfortable is it to drive? Second, I was given a 2014 Kia Soul ! in Inferno Red to drive for a week. No other compensation was received, and all thoughts are my own. This was the second time I’ve had the chance to drive the Kia Soul. I reviewed the 2012 model 2 years ago, and either the new 2014 Soul has a ton of improvements or I’m simply at a better stage in life to appreciate all the Soul has to offer. I liked the Soul in 2012, but I LOVED the 2014 model. The new Soul is insanely comfortable to drive. And most of all, it’s FUN. 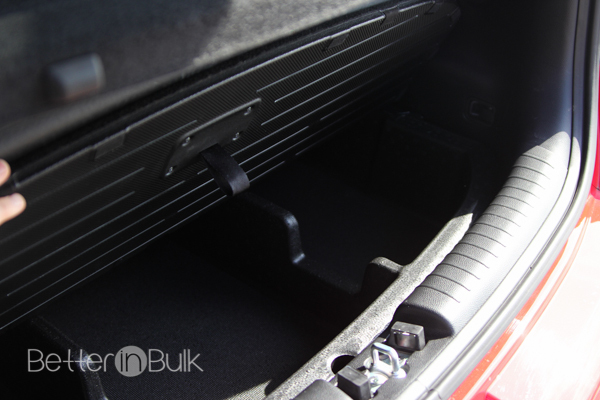 From the Infinity audio system with speaker lights to the heated front AND rear seats (amazing for the winter!) 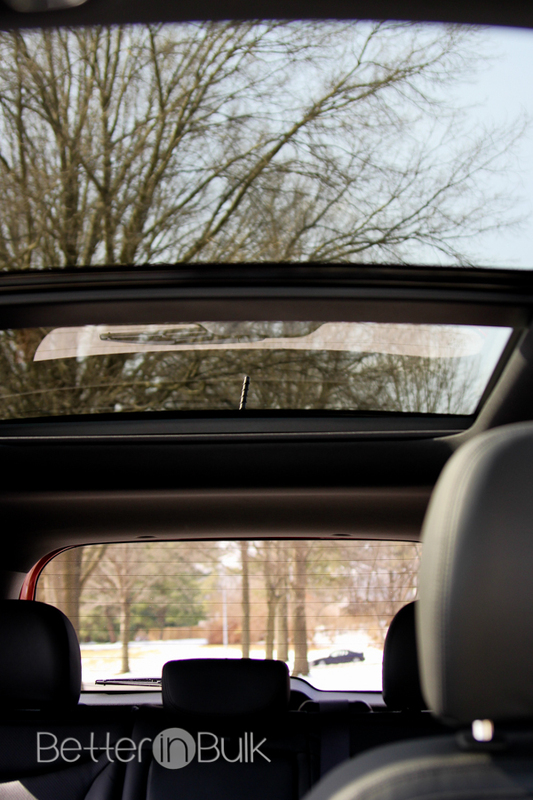 to the panoramic sunroof…the Soul has so much to offer. 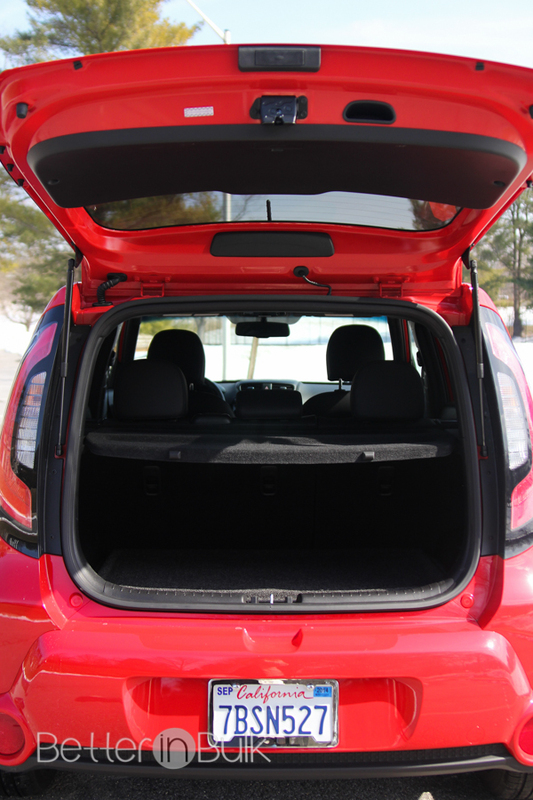 The Kia Soul is affordable to purchase, starting at $14,900 (up to $26,195 for the model I drove, with lots of extras like the panoramic sunroof). The Soul gets 23 MPG city and 31 MPG highway. Don’t let the affordable sticker price fool you, though. The Soul doesn’t FEEL like a cheap car. It feels like top-of-the-line comfort. And fun. Did I mention that I simply enjoyed driving it? The Soul also comes with Kia’s famous warranty – 10 years/100,000 miles unlimited powertrain warranty, 5 year/60,000 mile limited basic warranty, and 5 year/60,000 mile roadside assistance. 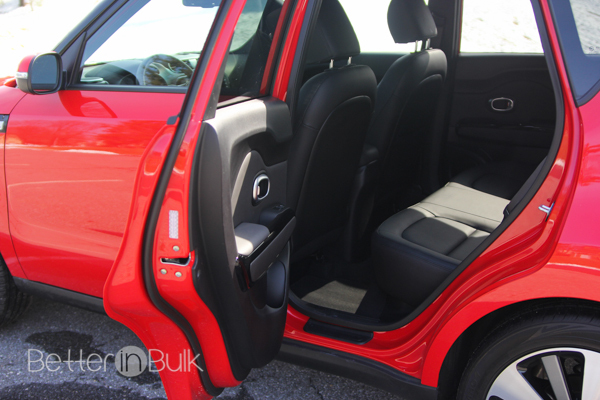 The Kia Soul has 5 seats and plenty of cargo space in the back for day-to-day driving, shopping, sports, etc. There is plenty of leg room in the Soul, too. No knocking knees on the back of the seat in front of you! Because I drove the Soul during a week of late-in-the-season wintery weather, the heated seats and heated steering wheel were very much appreciated. And the panoramic sunroof was exactly what I needed to enjoy the feeling of being outdoors without actually having to be outdoors (I feel much the same once the summer hits – I love being outside, but I prefer a less humid, air conditioned environment). I tried taking a picture of just how huge the panoramic sunroof is. I could hardly fit it all into a single picture. It feels like a convertible without the hassle of having the wind mess up your hair. The Kia Soul was very popular with my kids, receiving a thumbs-up from all of them. It looks “cool and sporty” but it doesn’t give up comfort and convenience for its good looks. 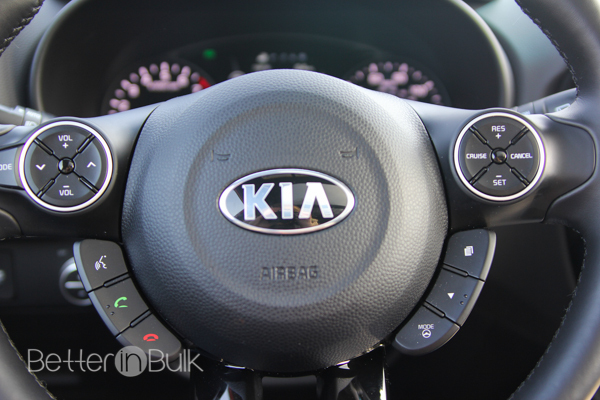 Kia has once again impressed us with its comfort, ease-of-use, and appealing features. It’s definitely a strong contender! 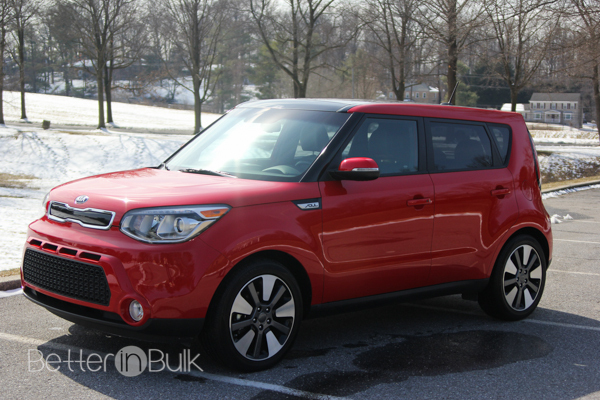 Have you driven the 2014 Kia Soul? If you have, what was your favorite feature? If you haven’t driven one yet, what feature is most appealing to you? 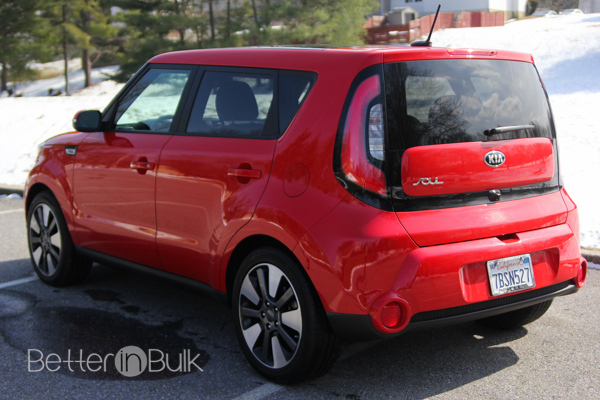 Many thanks to Kia for letting me test drive the “Urban hatchback” Soul! 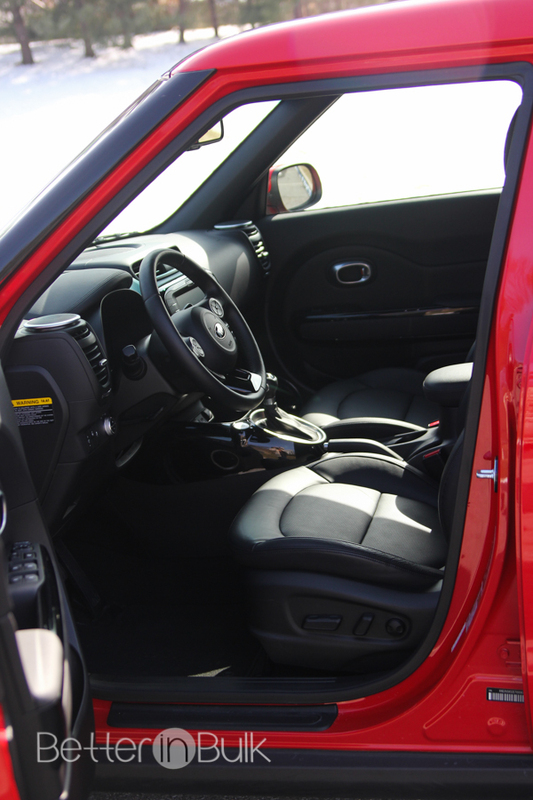 Check out more about the 2014 Kia Soul at Kia.com.